In raw numbers, U.S.-born whites were by far the largest group of baby boomers in 2000, at nearly 56 million (out of 58 million total whites). The next largest group of baby boomers was U.S.-born blacks, at over 8 million (out of 9.2 million total blacks). 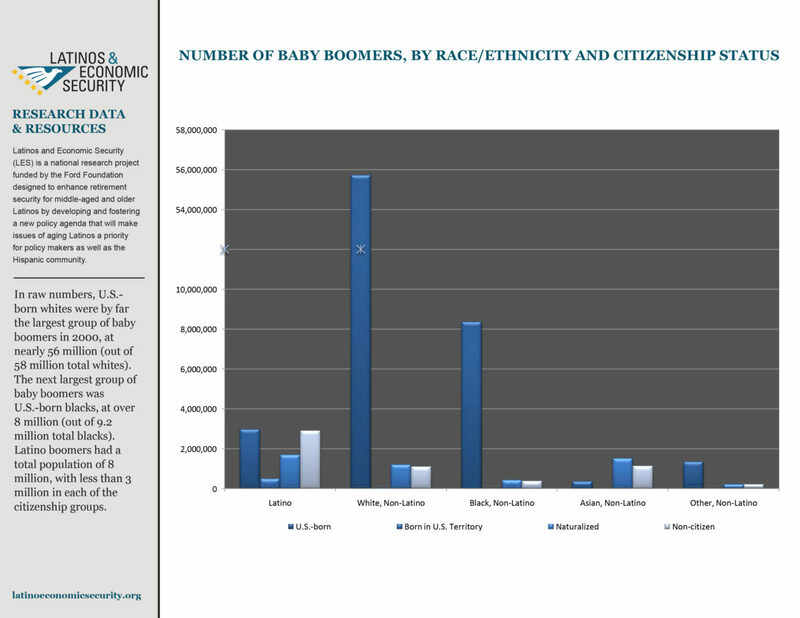 Latino boomers had a total population of 8 million, with less than 3 million in each of the citizenship groups.